​Credit unions were born from a simple idea: that people could pool their money and make loans to each other through establishing not-for-profit cooperatives. Here are some of the Pioneers of the CU Movement in the United States. 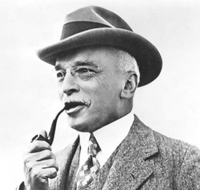 Businessman and wealthy philanthropist, Edward A. Filene, was the owner of a large department store chain called Filene’s. As a world traveler, he was visiting India when he discovered unique, rural cooperative banks. Fascinated with the idea, Filene realized these “cooperatives” could help ordinary American workers access loans at reasonable rates and avoid loan sharking. Filene also coined the term ‘credit union’ in the United States. His concern with fighting loan sharks led to the choice of the word ‘credit’, while his humanitarian interest in everyday working people made him want to cast ‘unions’ in a more positive light. In 1909, Filene helped organize and pass The Massachusetts Credit Union Act and credit unions were starting to form throughout the state. He later founded the Credit Union National Extension Bureau – an organization dedicated to expanding credit unions across the United States through state legislature. Filene would donate nearly $1 million to the Bureau during its 14-year history, which helped foster the American CU Movement. 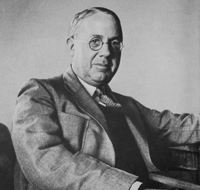 In 1921, Filene hired Massachusetts poverty lawyer, Roy Bergengren, as the Manager and Director of the Credit Union National Extension Bureau. By 1930, 32 states had adopted credit union laws, and the US had a total of 1,100 credit unions. ​Bergengren continued to carryout Filene’s dream through an ambitious legislative agenda that resulted in President Franklin D. Roosevelt signing the Federal Credit Union Act. It was now possible to form a credit union anywhere in the United States. 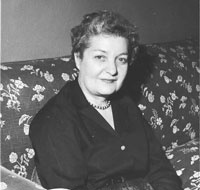 Dora Maxwell was an early credit union pioneer in New York state. Despite having to deal with intimidating bankers, she secured charters for 120 credit unions throughout the United States. 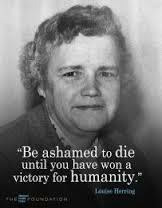 She also attended the 1934 Estes Park Conference, along with Filene and Bergengren – where the Credit Union National Association (CUNA) was founded. ​In addition to organizing new credit unions, she developed volunteer clubs and worked with organizations on behalf of the poor. She is now the namesake of CUNA’s Dora Maxwell Social Responsibility Award, an award that recognizes credit unions for social responsibility projects within their communities. Louise Herring is recognized as being the “Mother of Credit Unions” for her passionate work within the movement. 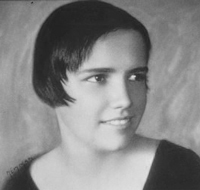 At the young age of just 24, Herring was an attendee of the 1934 Estes Park Conference where CUNA was founded. Louise would later represent Ohio on the newly formed CUNA Board of Directors. Herring had deep passion for people. She advocated to end unfair lending practices and was one of the most determined CU pioneers, credited with helping to establish over 500 credit unions. She is now the namesake of CUNA’s Louise Herring Award for Philosophy in Action, which recognizes those credit unions which “demonstrate the exceptional effort to integrate credit union philosophy”. Neither Snow Nor Jail Could Stop Louise Herring . . .
"I almost always organized credit unions at a change of a shift or before or after working hours. One night, I went to a meeting of teachers in Columbus, Ohio. The meeting ended about 9 p.m., and since I had scheduled a meeting with the Dayton, Ohio, police for early the next morning when the late shift went off and the first shift came on, I decided to drive the 70 miles to Dayton that night. Even though it was snowing and most people would have said in those days that it was foolish to drive at night, I started out. I got to the outskirts of Columbus and saw a streetcar parked at what I thought was the end of the line. I passed the streetcar and was immediately stopped by the police for passing a streetcar that was loading and unloading. An officer took me back to headquarters downtown where I was told I either had to pay a fine, post bond or go to jail. Because of the snowy night, many officers were sitting around either coming off duty or waiting to go on. They listened as I explained that I could do none of these things because I had to be in Dayton early the next morning to organize a credit union for the police force there. As I explained what a credit union was and the good it could do for working people, the officers started to pitch money up on the table to pay my fine. I made each person who contributed to my fine give me his name and address so I could repay him. Finally enough money came in to pay the fine and I was dismissed, but with a date to return to organize a credit union for them! They thought the idea was so good they were willing to pay to have a credit union organized. It gave me the opportunity to tell them, as I have told so many groups, that no one should ever pay to get a credit union."